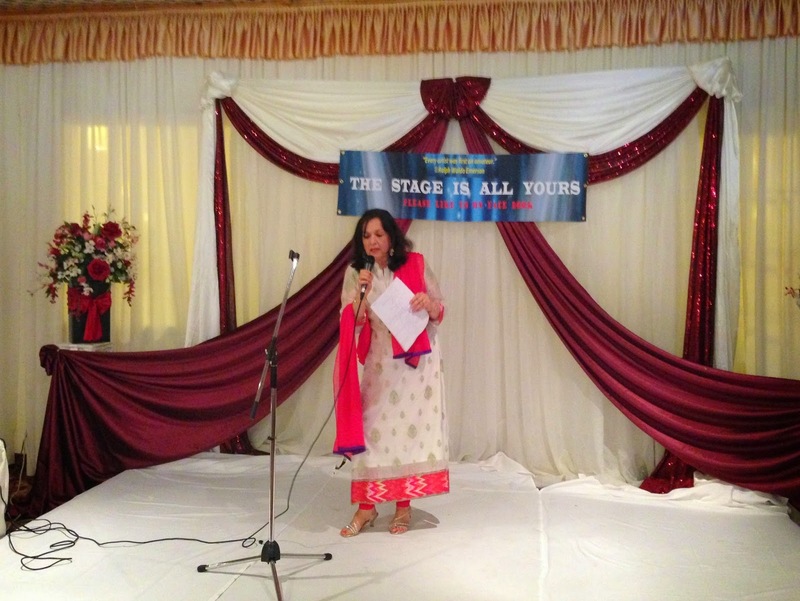 It was food for the body and soul and feast for the eyes at a Silicon Valley Pakistani-American event called The Stage is All Yours. 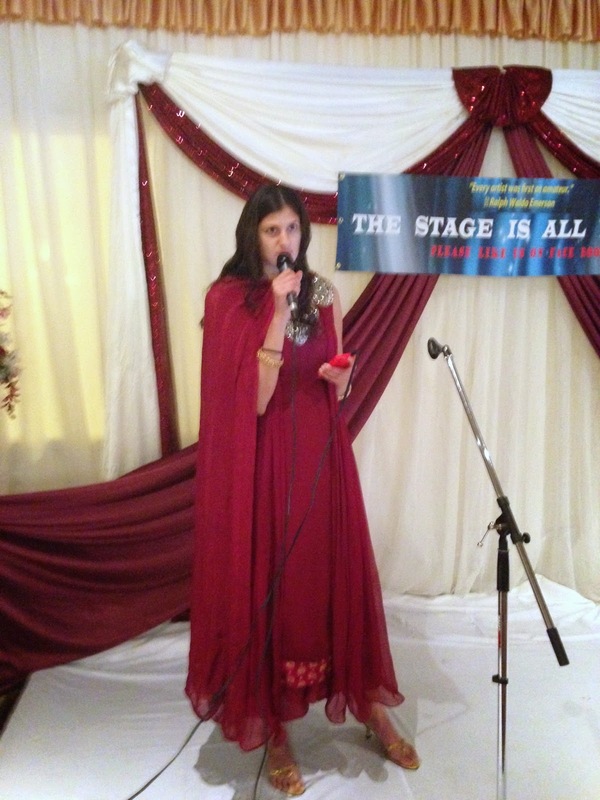 Dozens of Pakistanis took to the stage to show off their talents at this open mic function inspired by Waldo Emerson's quote: "Every artist was first an amateur". 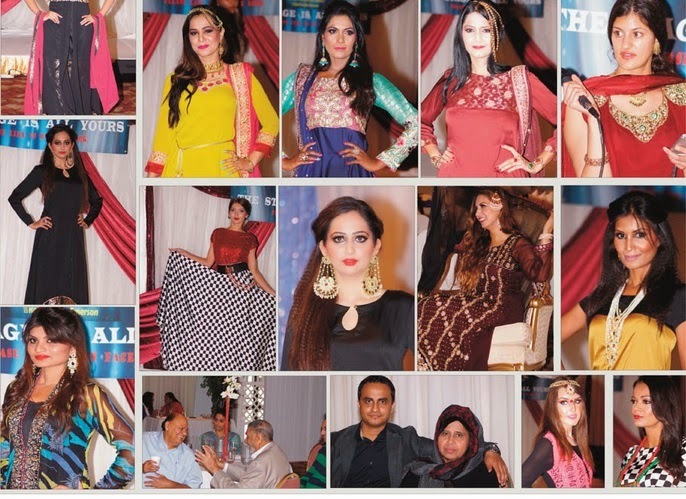 There were aspiring singers, musicians, poets, comedians, fashion designers and models, all brought together by the event organizer Dr. Yasmeen Haq on August 3, 2014. There were traditional Eid deserts like firni, gulab jaman and other desi sweets to savor. 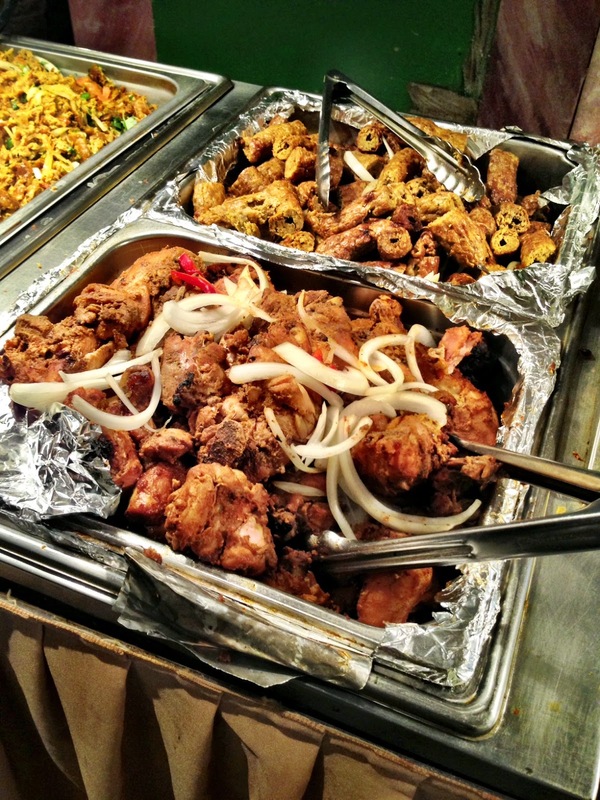 The menu also included halwa puri, chaat, chicken tikka, biryani, nihari, paya and nan. It was a real feast reminding participants of the taste of Pakistan in Silicon Valley. 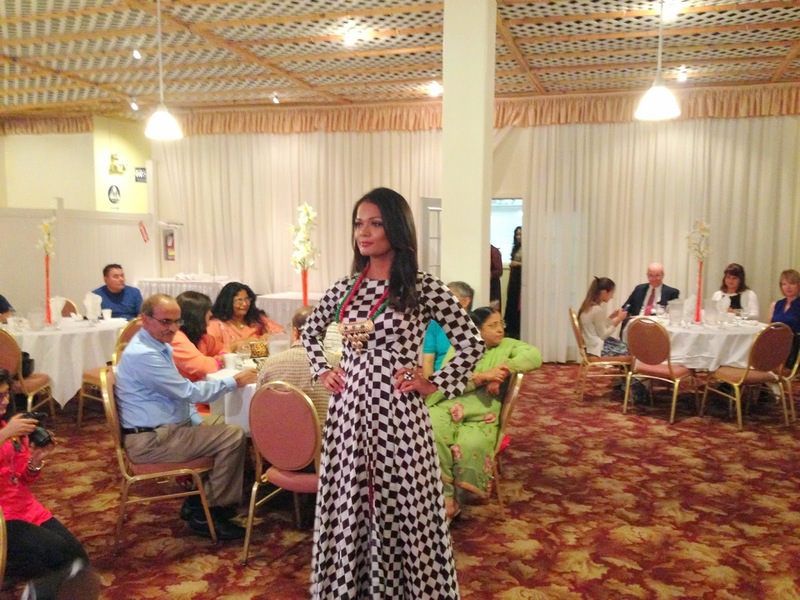 Dozens of beautiful Pakistani-American models took the runway to show off fashion designer Aateka Sultana's women dresses and accessories for about 40 minutes. 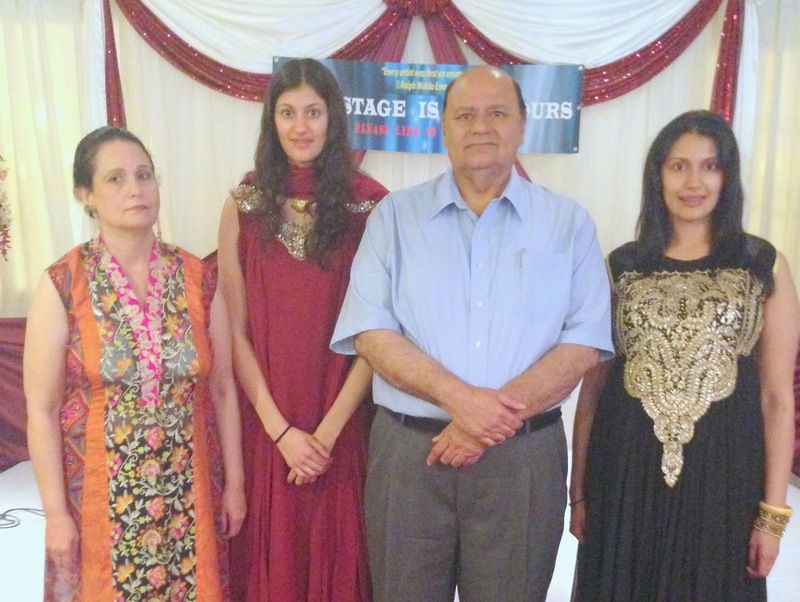 It was accompanied by popular tunes from India and Pakistan adding to the experience. It was music to the ears and feast for the eyes of the attendees. 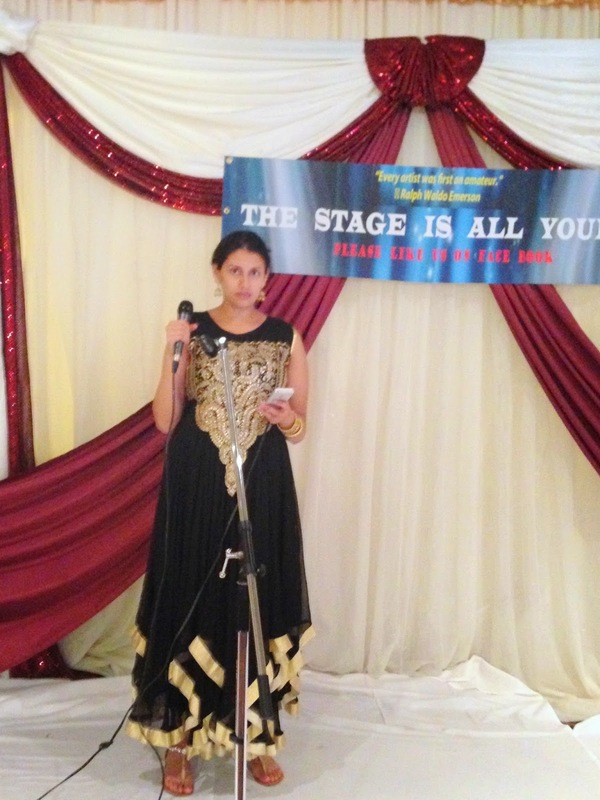 About a dozen karaoke singers, poets, comedians and speakers presented their favorite songs and other items to keep the attendees entertained throughout the event. 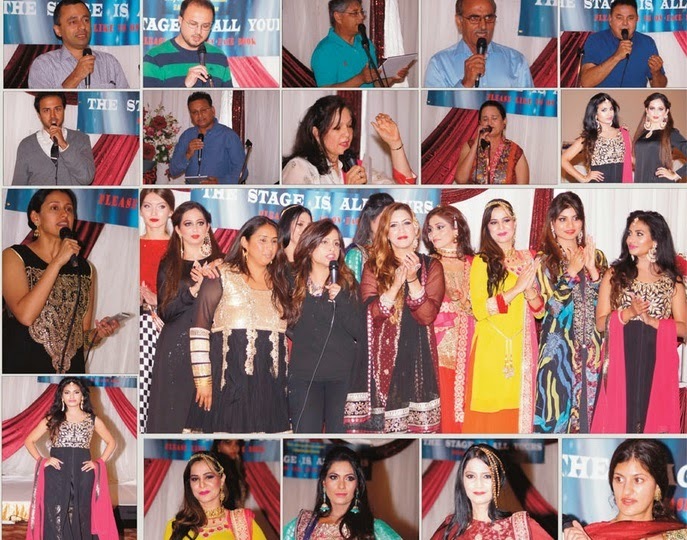 Their choices varied from sufi music and poetry to popular Lollywood, Bollywood and Hollywood hits. Some of the popular Pakistani hits presented at the event were: Alif Allah, Allah hi Allah kia karo, Bina Mahi, Akele na jana, and Dama dam mast qalandar. 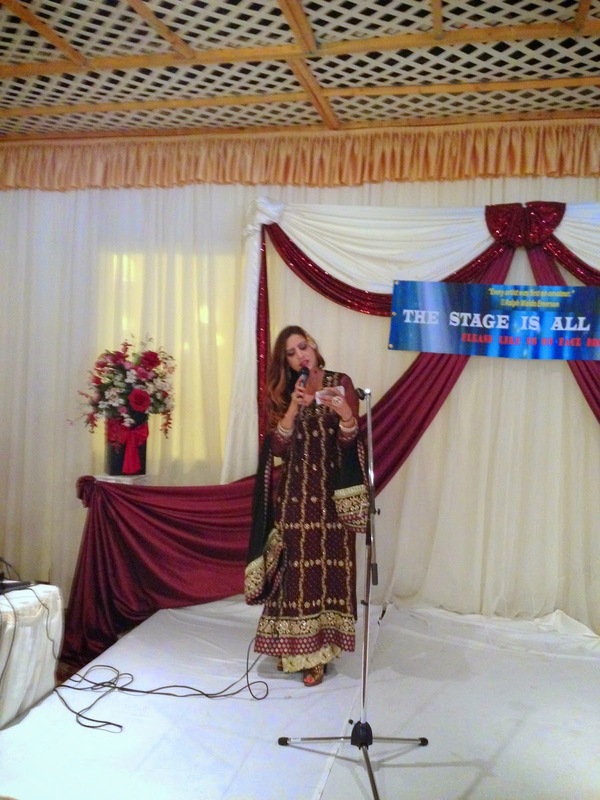 The Stage is All Yours is a unique platform helping Silicon Valley Pakistani-Americans groom their talents and stay connected with their culture and heritage. 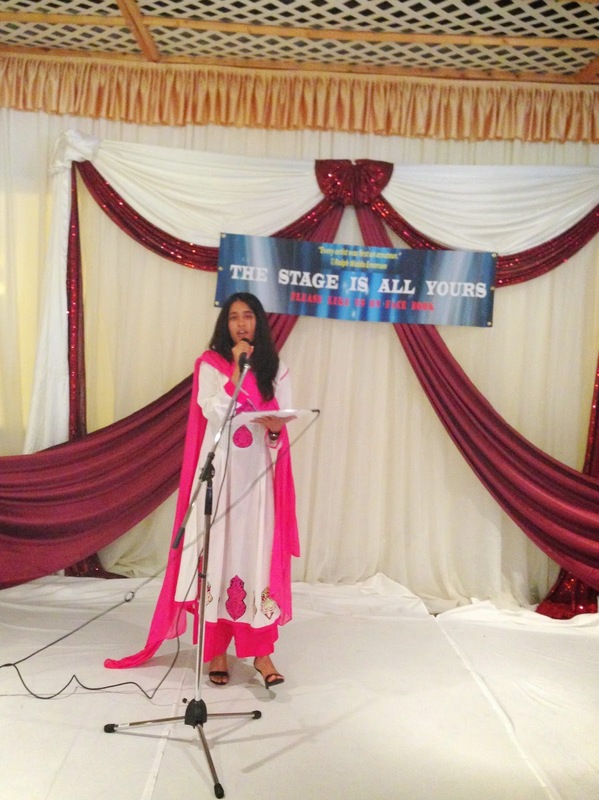 It served this purpose well with the Eid celebration organized on August 3, 2014 in Silicon Valley. The Muslim Eid is a celebration of the completion of the training in Taqwa offered by Ramadan: Worship, patience, chastity, self discipline, and staying away from lusts and desires. What goes on today in the Muslim world in the name of Eid celebrations is a total negation of these. If we took the medicine prescribed by Allah during Ramadan then we vomit it all out on the Eid day. What makes it worse is that this vomiting out makes us feel good and proud. What makes this year's Eid celebrations of this nature even worse is that they took place even as our brothers and sisters and children and elders were the target of such crimes in Gaza and elsewhere that even non-Muslims broke down narrating them. Yet we the Muslims, who are supposed to be like one body ("If any part of the body suffers the entire body feels the pain," goes a famous but mostly ignored hadith), behaved as nothing had happened. It is callousness and insensitivity to the nth degree. The hadith said, "Whoever is not concerned about the affairs of this ummah is not one of them." Who cares about Gaza? Who cares about Burma? Who cares about Syria? Iraq? Afghanistan? Pakistan? We have an ear for music. So we are deaf to the cries of the babies and the women who are being persecuted. And if anyone points out any wrong with what we are doing, the ferocity of our response will show that our love for fun knows no bounds. In the good old days of 1971 - when there was no internet - everything was fine. We did not even know what was going on a thousand miles away. What happened to the callousness and insensitivity in those days? Is it not hypocrisy to talk of callousness and insensitivity in 2014? The only difference is the internet. Now we know in a fraction of a second. Suddenly - just because we have knowledge - it is callous and insensitive to live our lives normally??? Despite his other flaws, Tariq Alamgir does not allow us to forget how callous and insensitive we can really be. Just a thousand miles away!!! 1971 was my year of shame. All of that was happening in my name - but I was living my life normally. I got my degree. I got a job. I got admission abroad etc. etc. My callousness and insensitivity has become deeper than the deepest ocean and taller than the tallest mountain in my 60s. It was just a puddle in 1971. Just a small molehill. Rashid: " Is it not hypocrisy to talk of callousness and insensitivity in 2014?" Your question "Is it not hypocrisy to talk of callousness and insensitivity in 2014?" is spot on. I'd also add the following question: Is it not intellectually dishonest to object to music and fashion because of Gaza when in fact they believe it is haram under all circumstances? The question of intellectual dishonesty is caused by an inability to understand the significance of time and space and an urge to blame the person who points out our wrongs. A bad act becomes worse if performed at a special place (say a masjid) or at a special time (say during Ramadan or hajj). This is elementary stuff. Same with times of calamities. You may hold a concert a week after your family was massacred and if someone points out the heinous nature of your act you can blame them of being intellectually dishonest for mentioning the massacre because they are against concerts to begin with. I do not think anyone on this list will take shelter behind such logic so life can continue its "normal course." The matter is simple. It is our dishonesty that is seeking intellectual arguments for covering it up. This is my Eureka moment! Each calamity is really an opportunity to condemn another wrong! The more Karbala moments we have - the more Islam will be Zinda. Is this not elementary also.........? No? Actually what is being debated here is the parading of a litany of wrongs..... especially upon perceiving someone to be out of line. At the age of 63 I am already past the ideal age. I have learnt to tolerate everything - except point scoring. If the fashion show is wrong after Eid - then it is wrong before Eid or whenever. Muslims will suffer in Gaza and Burma and wherever. It may be now or in the future or the past. But such suffering should not be the brought out to score points. The "Slippery Stone" book stands on its own. It does not need a fashion show as a launching pad. The only way this criticism of a fashion show will make sense is if this a preface of a book in the works right now. Who knows for sure - but there are more than enough human activities that contravene some divine command or the other. Enough material for more books. Time has changed us all. From 1974 (our year of Graduation at NED) to now Riaz and Rashid have moved towards liberal Islam whereas Khalid has moved towards conservative Islam. Even though we all live in USA we as immigrant Pakistani Americans reflect what is going on currently in Pakistan where the conservative base has become huge and the liberal base has become equally huge. And hence the reason for religious polarization and intolerance. And callousness and insensitivity. I would like to note that even the Prophet (SAW) was not opposed to the music of the instrument called duff and to the dancing and singing by girls during wedding celebrations. When the Prophet (SAW) did Hijrat and entered Medina young girls and women greeted his arrival with a song. The Prophet did not issue any edict against these events because the timing for such events was appropriate and the events were done not to offend any one. There is no such thing as liberal Islam and conservative Islam. Islam has been completed in it's purest from,as on the day of Hajjatul Widah. Al youma Akmaltu lakum Denakum. Riaz and Rashid represent forces of Evil.Hizbush Shaitan. The biggest FITNA in Islam today is represented by Najam's "Shaikh" Usma Bin Laden and Najam's allies in Al Qaeda, ISIS and the Taliban. They are responsible for killing more innocent Muslims in recent history than what Najam calls "forces of Evil.Hizbush Shaitan". The Urdu phrase “bus bohot hogiya hay” sends chills down Umair Khan’s spine. Roughly translated as “enough already,” it’s something Mr. Khan, 34, a Manhattan lawyer, has heard uttered by his mother, his aunt and their Pakistani-American friends on several occasions, lately with increasing exasperation. The frustration stems from Mr. Khan’s inability to find a suitable mate. Like many second-generation South Asian-Americans, Mr. Khan finds himself walking a fine line between paying respect to traditional matchmaking practices extolled by an older generation and embracing more contemporary methods of finding an appropriate life partner. His search has involved, among other things, being fixed up by professional “Rishta aunties” hired by his mother, meeting women at networking events and suggestions he try online dating. Within many immigrant communities, more attention seems to focus on marrying off daughters, but it is often the sons who bear the weight of family expectations when it comes to picking a mate. Overt pressure may be lessening, and outright arranged marriages are the exception rather than the rule, but the love lives of those whose families are from India, Pakistan, Sri Lanka and Bangladesh may nevertheless be subject to a good deal of scrutiny and occasional intervention. And the men themselves are becoming more demanding. Ms. Qadir blames the South Asian culture for these unrealistic expectations. “Men have more power,” she said. Problems also arise when the expectations of the parents don’t match the preferences of their sons, according to Ms. Qadir, who said that more than half her client base is made up of the parents rather than the offspring. The degree of parental involvement depends on how closely a family holds to tradition. As with many demographic subsets, there are numerous online mating sites geared to the South Asian and Muslim communities, including salaamlove.com, singlemuslim.com and the India-based shaadi.com, which calls itself “the world’s largest matrimonial service” and claims 3.2 million successful pairings.